Home / Crime / Education / Movies / News / Soccer Betting / sports / Tech / Jose Mourinho has no intention of leaving Old Trafford and will see out the remainder of his contract. Jose Mourinho has no intention of leaving Old Trafford and will see out the remainder of his contract. 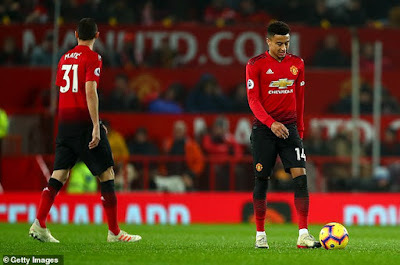 Jose Mourinho has conceded that Manchester United will have no chance of beating their rivals to the Premier League title any time soon if they keep investing at the same rate. On Friday, Mourinho's agent revealed the manager has no intention of leaving Old Trafford and will see out the remainder of his contract. However when asked to look into his future at United, Mourinho struggled to see a time when his side will be able to lift the league title.